Needless to say, it’s been an amazing learning experience and I’ve gotten the opportunity to hone my graphic design, SEM, SEO and SMM skills. I’m loving where I’m working, what I’m working on and who I’m working with. Working in the marketing department, I’ve been doing a number of projects ranging from CRM to design to marketing, and to my delight, some have even been PR related. While I’ve been neglecting my own blog (shame on me), I’ve been writing posts for the Postano blog. I haven’t been at Postano very long, so there’s only a handful of posts; but I think they’re worth a read- especially if you like my earlier posts. My first post was a review of being Event Coordinator for the Postano team and our live social media displays at a Portland event called PDXPopNow. Lately I’ve been really interested in how more and more major brands are using gamification to revamp their digital marketing strategies in attempts to keep consumers engaged. 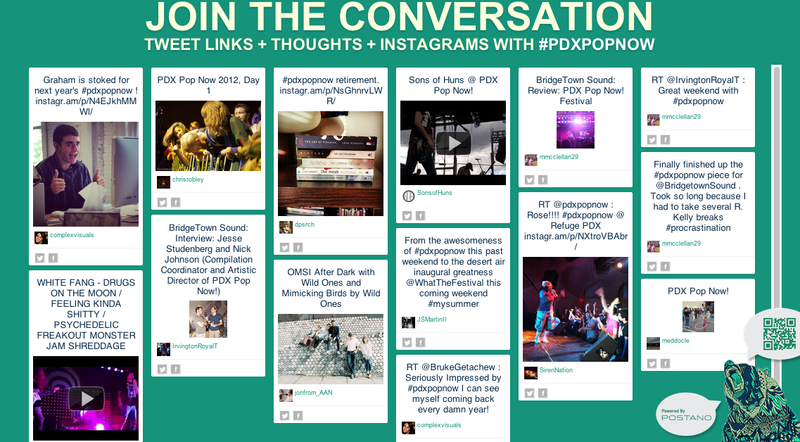 After more gamification research, I realized live social media displays – like what Postano had at PDXPopNow – could be used to gamify events as well. Keep your eyes peeled for more posts coming soon!